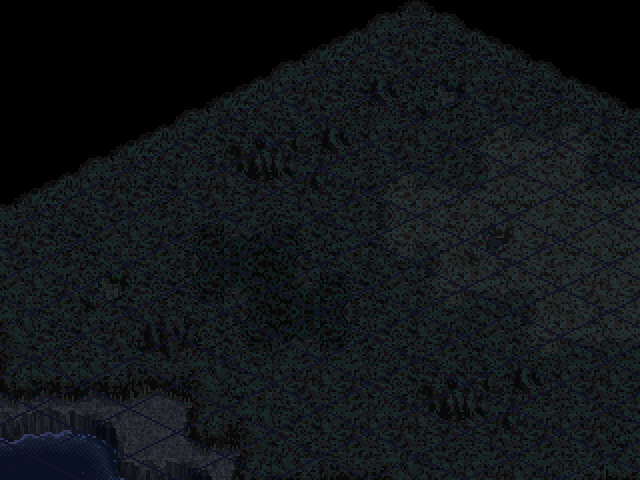 : What's with all this vegetation...!? Something weird's going on. : First a future world, then a prehistoric one!? What the hell's goin' on!? : Hey... Jiron, isn't it kinda hot? : And a little humid too. : Still, it's nothing we can't deal with. 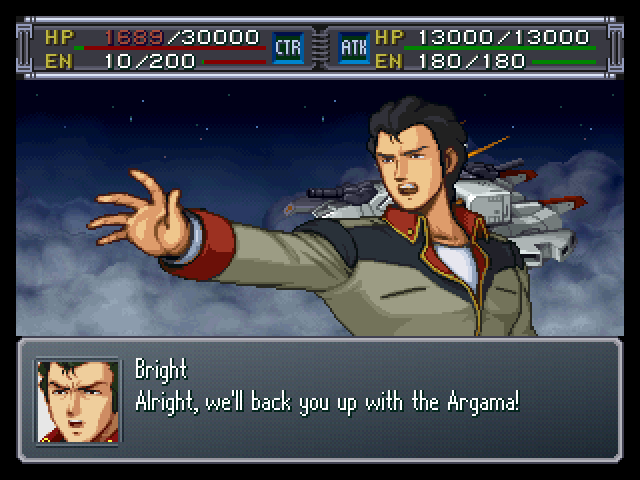 : Look, just put on the protective suits you got from the Argama. You guys don't have airtight machines, y'know. 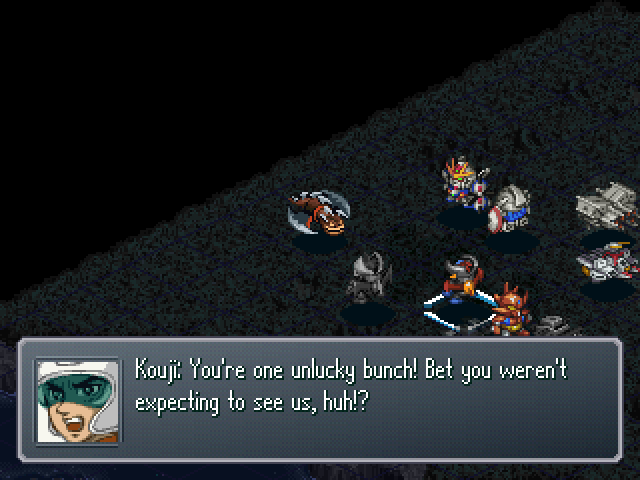 : Dr. Anzai, have you gotten any detailed test results yet? : It can't be classified as any kind of natural phenomenon...! : ...No doubt about it. This type of abnormality is the same as...! 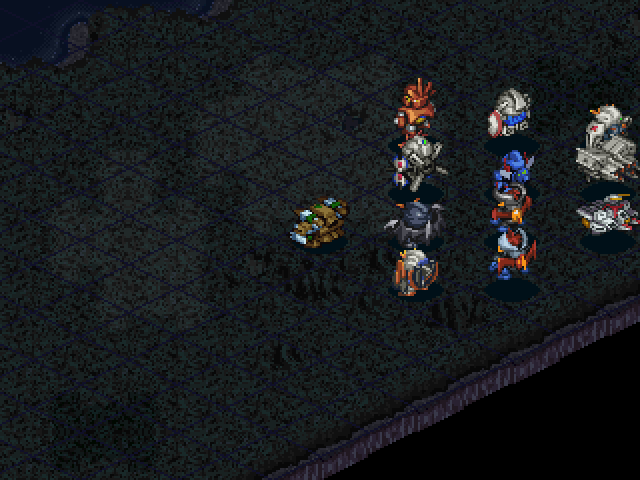 The Mechabeast army shows up. Unfortunately, I wasn't fast enough to get a picture of them. : Those are... 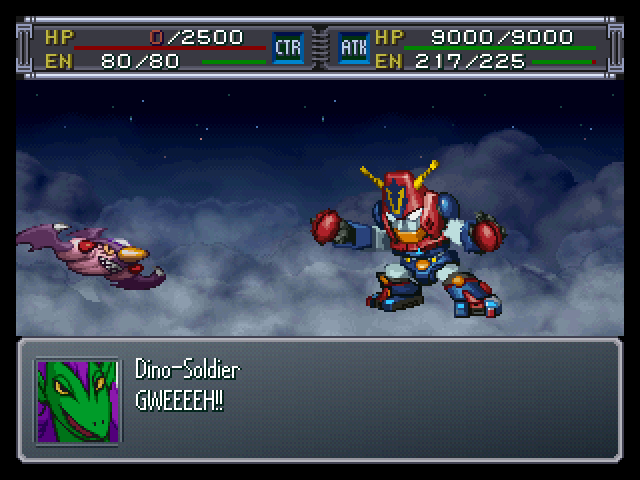 The Mechasauruses that you fought before, aren't they!? : Looks that way. There's some I haven't seen before mixed in with 'em...! : Wahahaha! 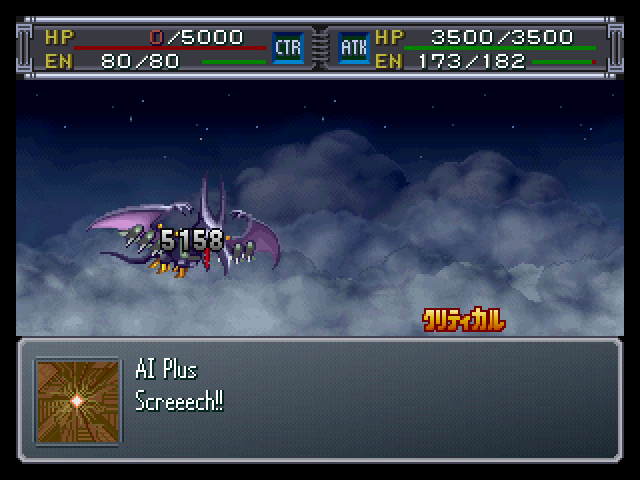 Truly, this is the surface I haven't seen in so long! But now, the sun, the skies, the land... 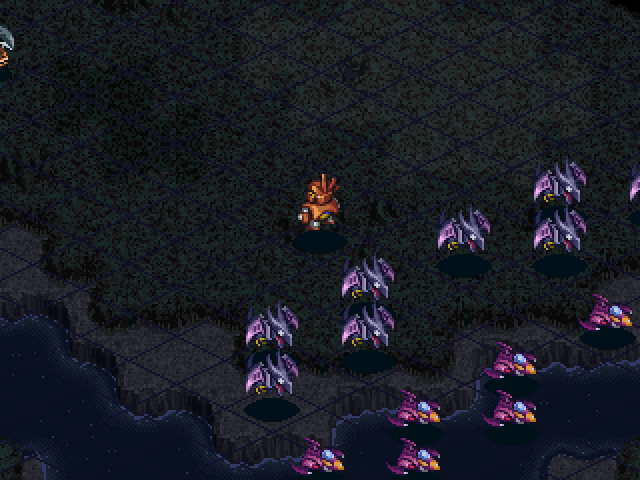 It shall all be ours, the Dinosaur Empire!! 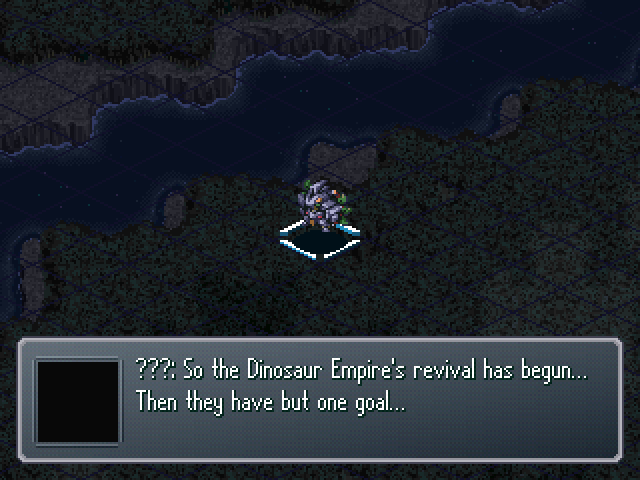 : The same Dinosaur Empire that showed up during the Balmar war in Japan...!? 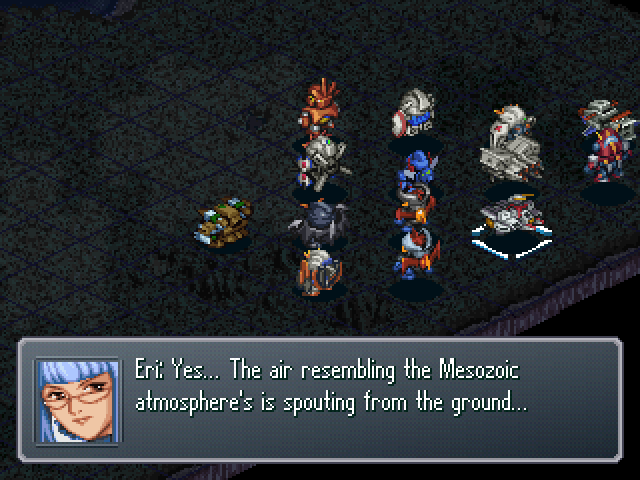 : Yes... the empire of reptiles that uses Mechasauruses to attack the surface...! 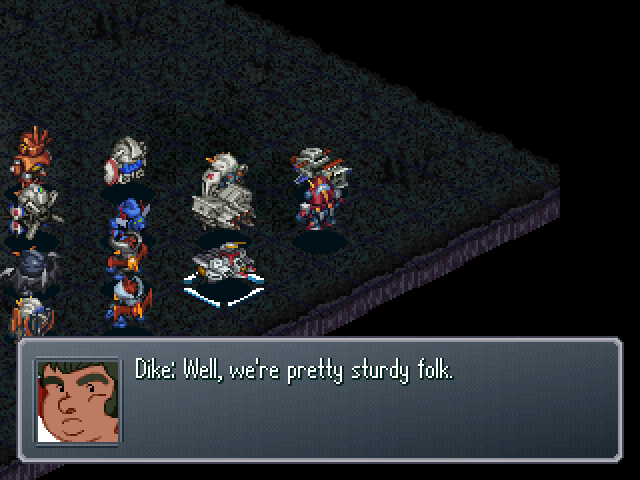 : But didn't you guys defeat them and drive them back into the magma layer!? 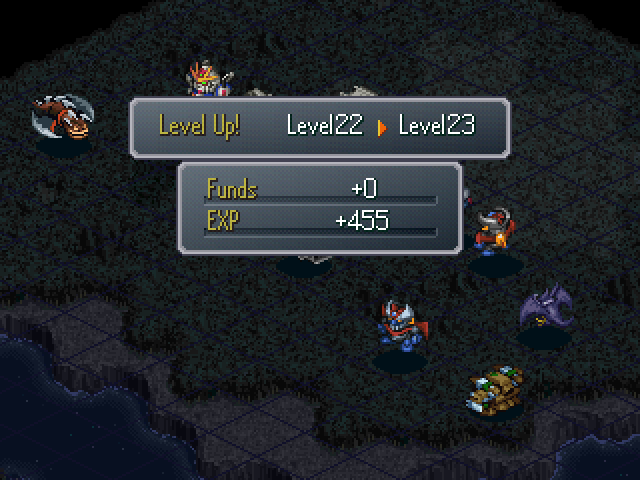 What are they doing in this future world!? : Heh... They survived in magma for 65 million years on the verge of extinction... No reason why they couldn't survive another twenty or thirty thousand. : No reason...? Come on. : Hah. Impudent humans... So you got wind of this and came to see. 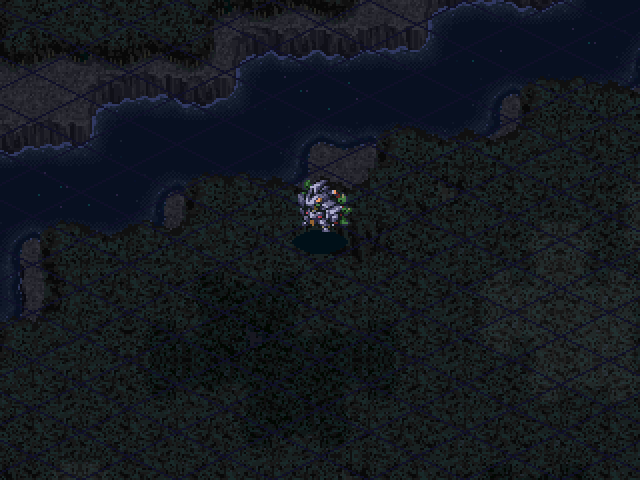 Hmph, always striding around the surface like you own the place. We'll just have to wipe you out again, like we did before!! : Who wiped WHOM out!? 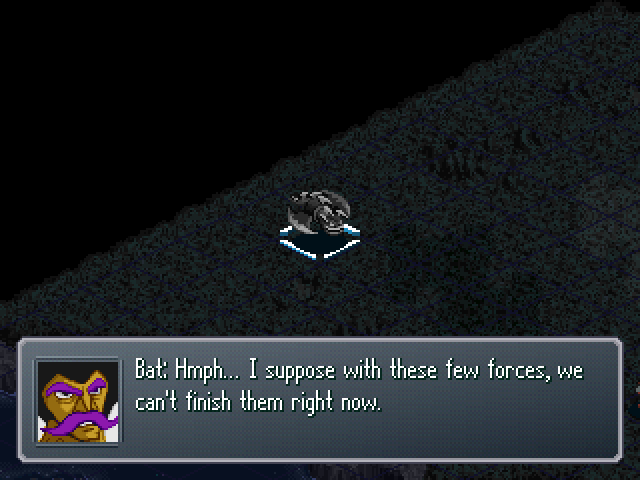 : So, General Bat... 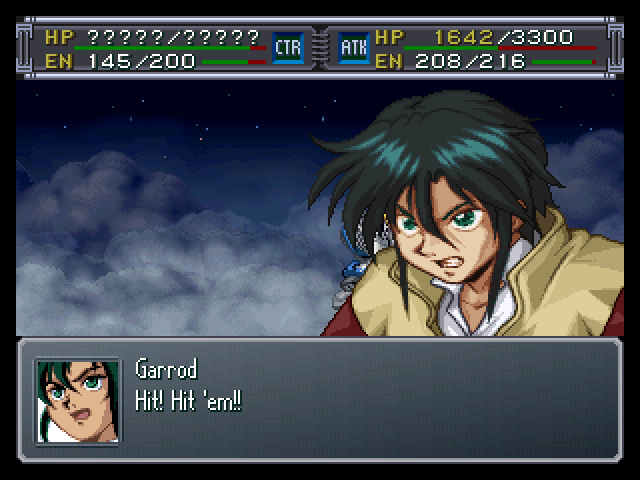 Feels nice to see a familiar face for once. 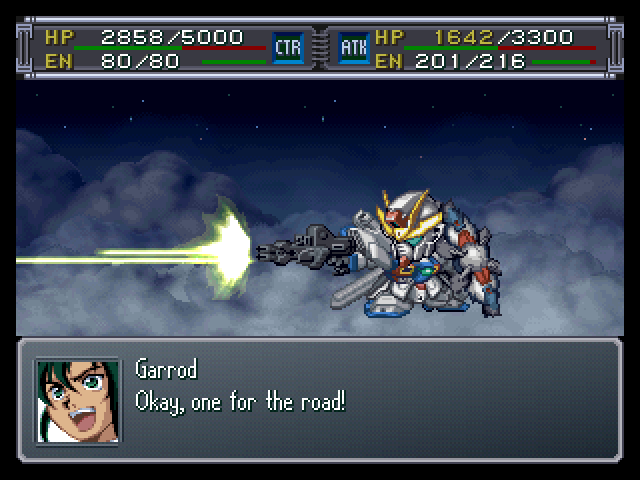 : G-Getter!! Impossible!! What are you doing in this era!? You should've been dead! 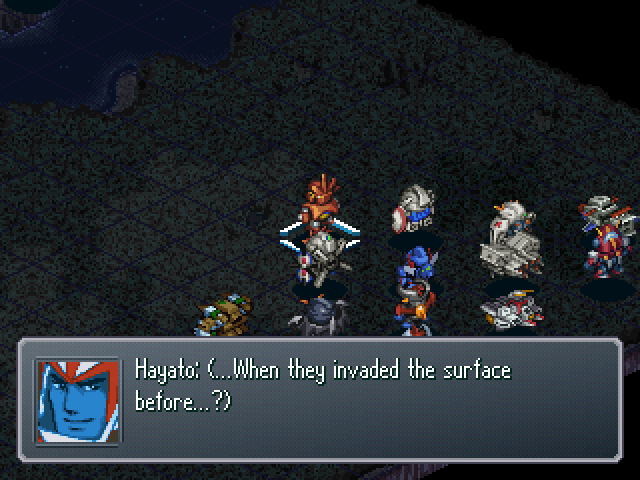 You didn't show when we invaded the surface before...! : Even if millennia pass by, as long as we're around, we'll stop you!! 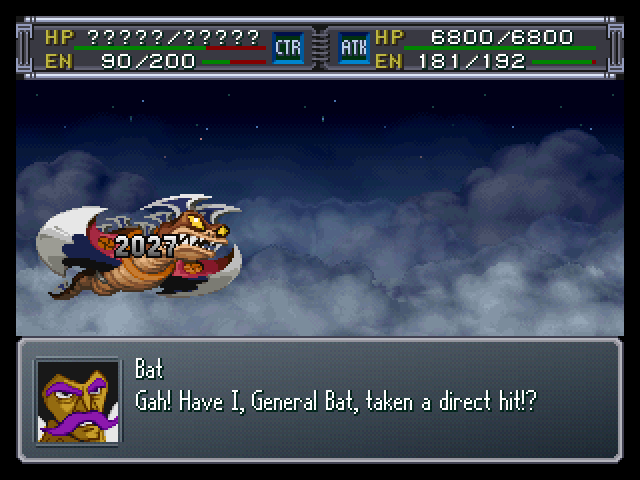 : General Bat! What's so funny!? : So I suppose if I don't destroy you, our empire will never gain eternity... This is no coincidence! This time... This time, I'll sever the ties that bind us! : Try it! I wouldn't have it any other way! 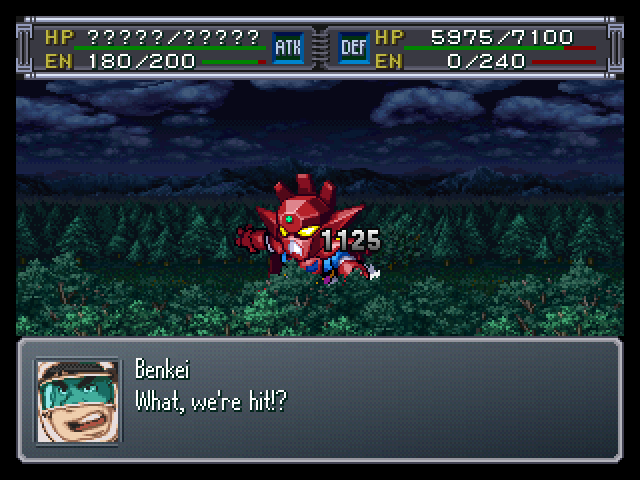 Let's go, Hayato, Benkei!! 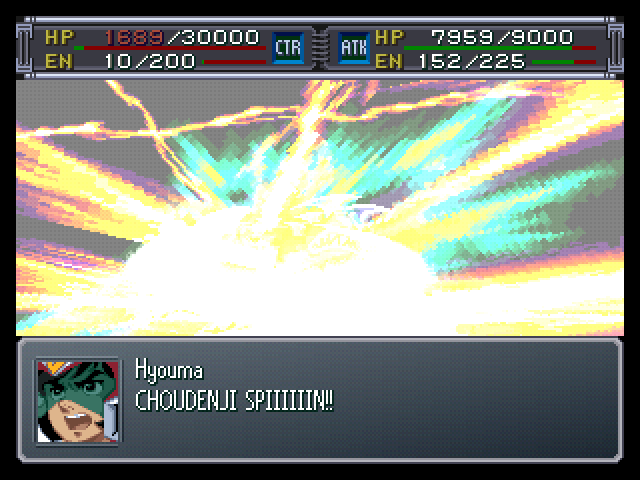 : Hold it, Ryou! We should assess the situation first! : He must know something we don't about the history that's transpired...! : This is no time to worry about that! We can't let him get away this time! 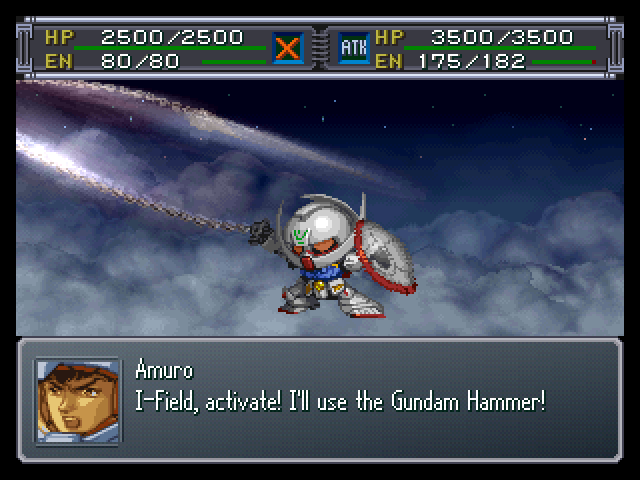 : Don't fly off the handle, Ryou! This isn't the time we came from! 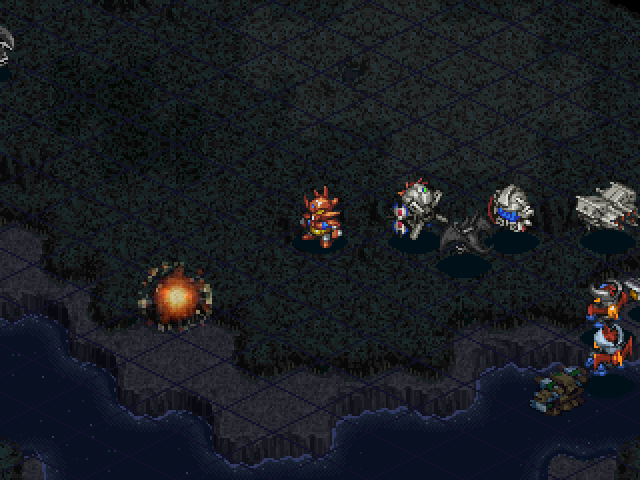 The Mechabeasts' revival, the odd atmosphere... We don't know their scheme... We should figure that part out before trying to settle anything else! : R-Ryou! What're you sayin'!? : ...Fine, do what you want. Let's see how you handle things. 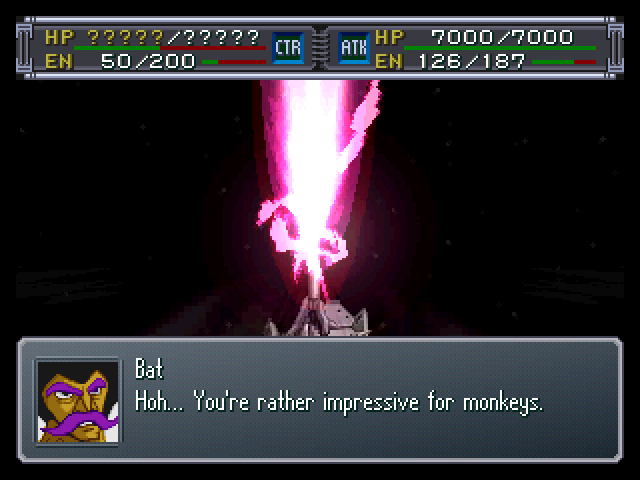 : Sure, you don't have to tell me that!! 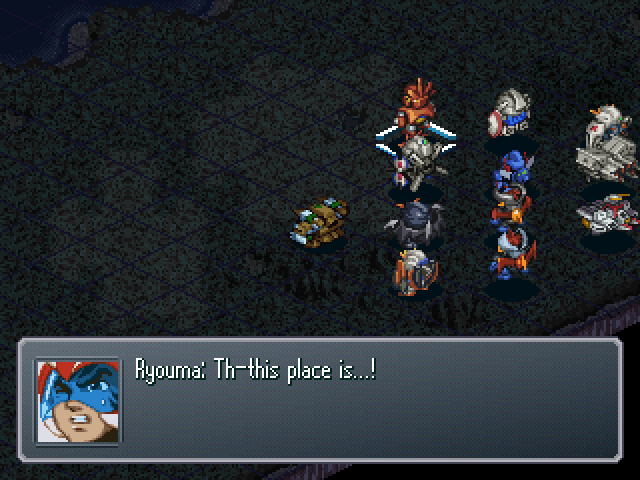 Ryouma places himself behind enemy lines. This can't possible go wrong! 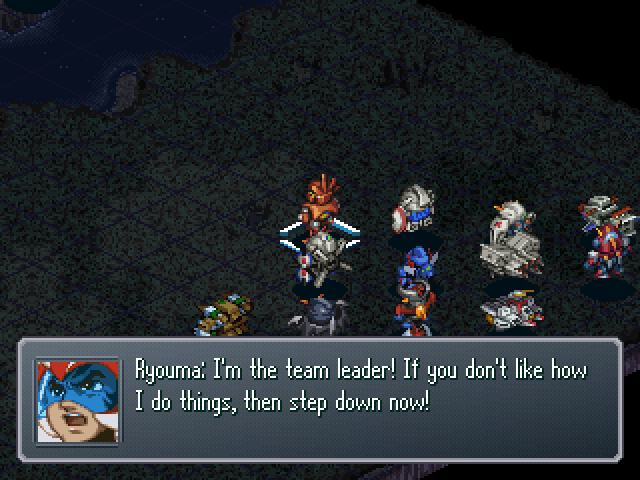 : Hold on, Ryouma! Don't go rushing in alone!! 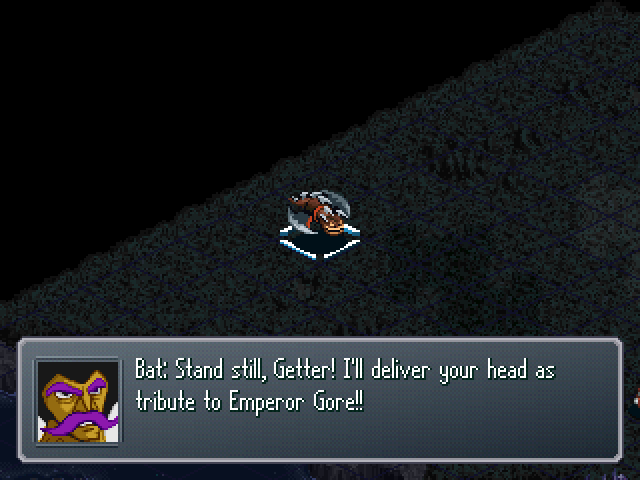 : Say your prayers, General Bat!! : You fool...! We've had countermeasures to deal with Getter for a long time!! 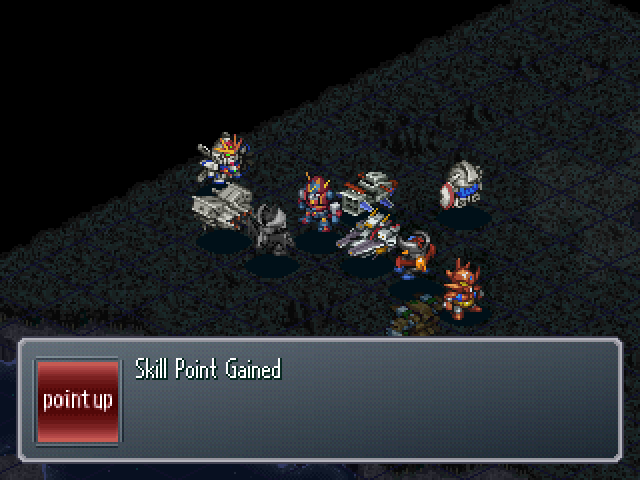 : Take this, Uran Spark!! 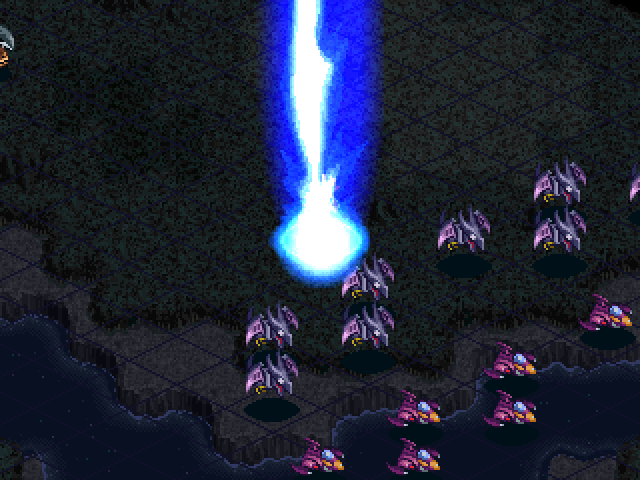 : That's the Uran Spark, it alters Getter Rays into radiation harmful to humans! : ...N-not good...! 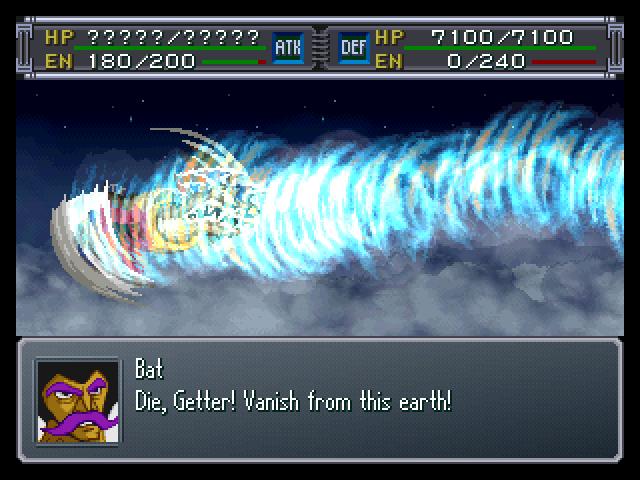 If we don't lower the Getter ray output, we're done for...! I've got no choice... I'll cut the output from the reactor! : ! The Getter reactor's output has been minimized...!? : Hahaha... That's right. Just what I wanted you to do after getting exposed. 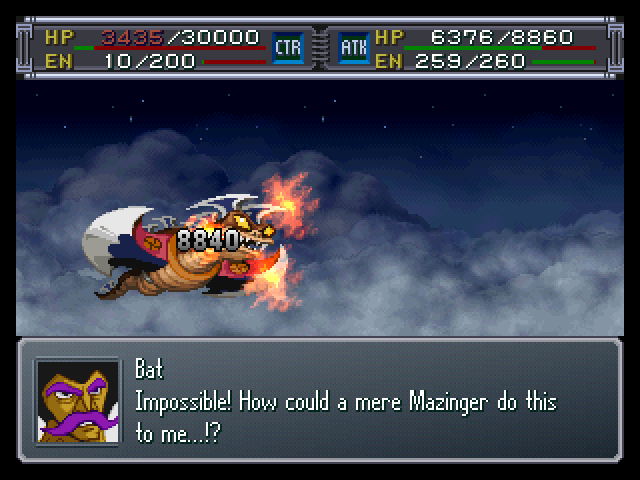 : Today we wreak vengeance upon you, the Mazingers, and Raideen for what you did! : H-hey! They're gonna be in trouble if we don't bail them out! : Yeah! 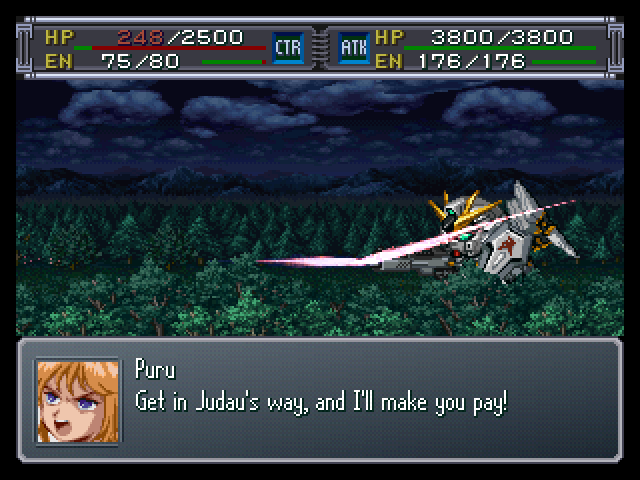 Everyone, we've got to go save Ryou and the rest!! 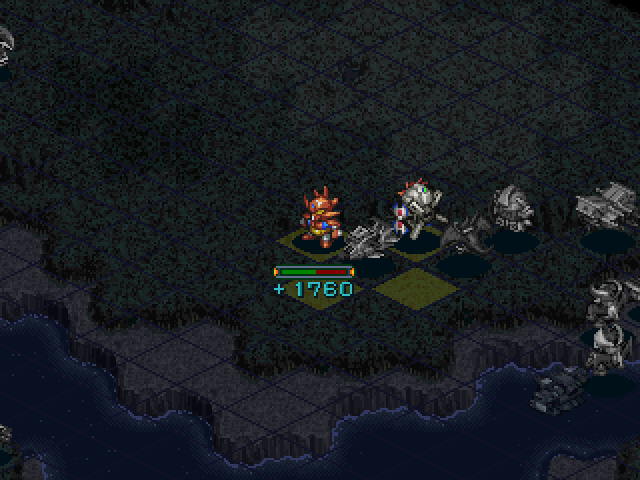 Let me just say that this mission really hates ground units. 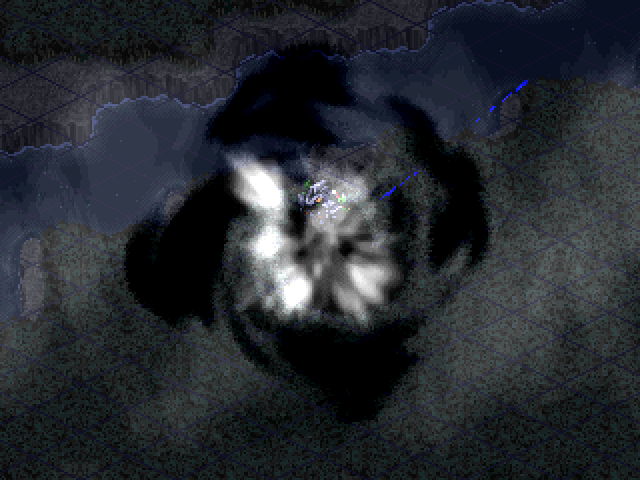 every bit of terrain on this map will slow your ground-pounders down. 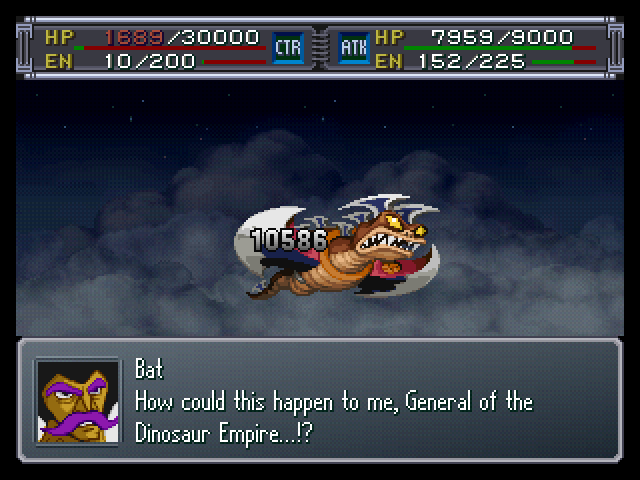 This mission can also be a bit of a handful if you didn't upgrade Getter Dragon's health or armor (Like I stupidly did the first time I played ), since almost every enemy will attack it. 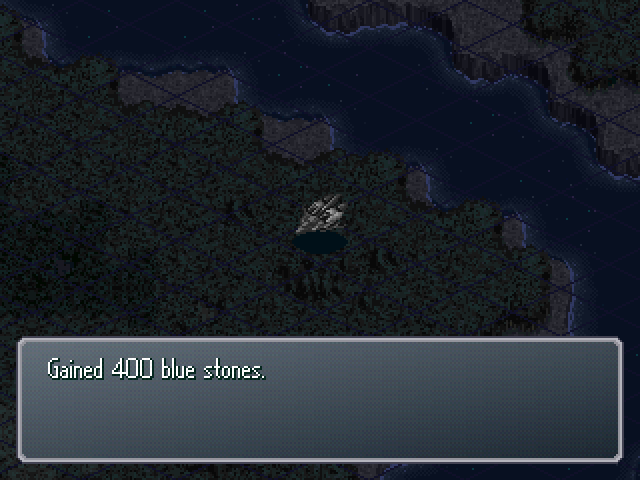 It also has 0 EN, and doesn't regenerate it during the mission. 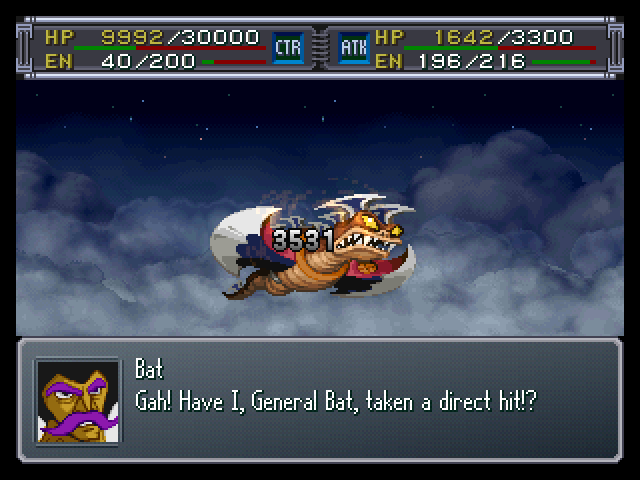 The Skill point for this mission is to destroy Bat in seven turns. 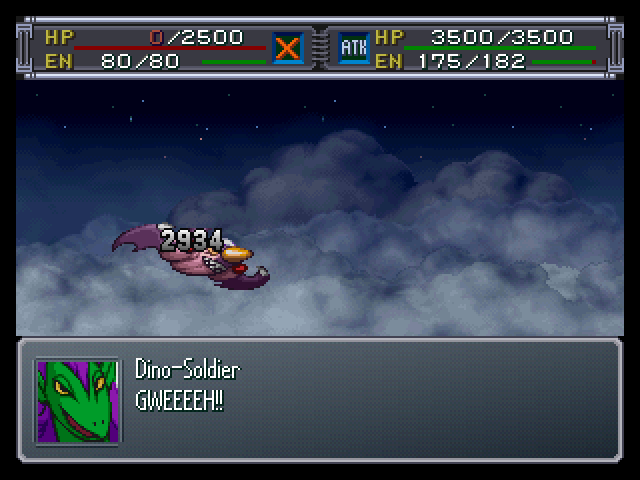 While there may be alot of enemies, they are all very weak (Except Bat), and the Dino jet's almost always die in a single hit. 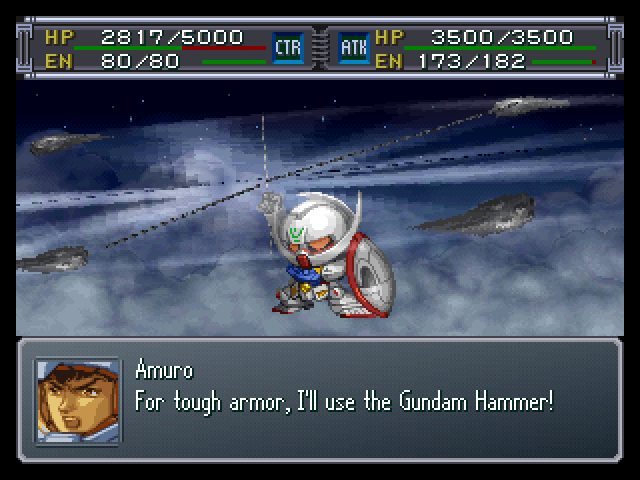 Amuro breaks in his new Turn-A. 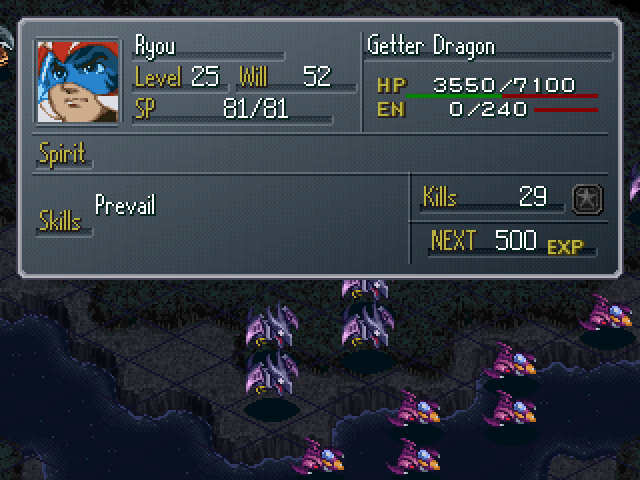 Another problem that the Getter Dragon has is that it has 50 Will, which really hurts it's combat effectiveness. 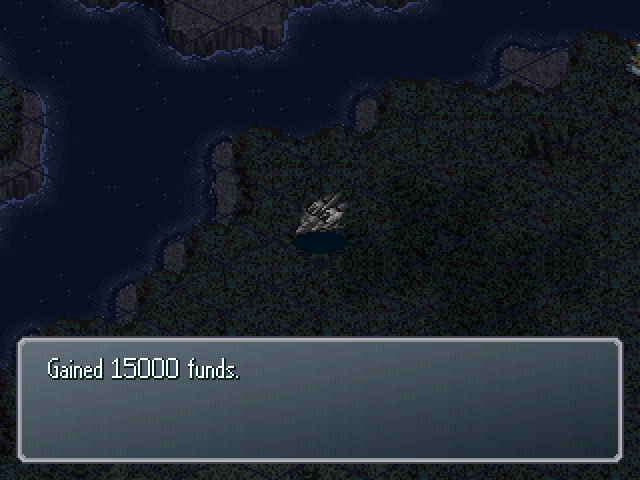 You also want to land it ASAP since you need to take advantage of the defensive bonuses the jungle provides. My turn soon comes to an end. 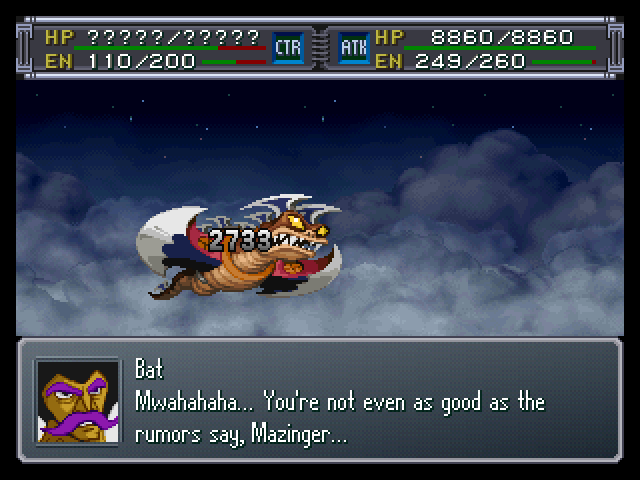 : This Dragon is far stronger than the Getter-1 that defeated you before!! 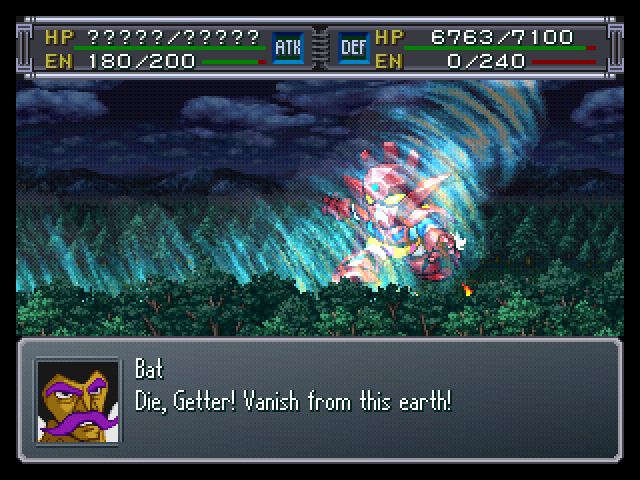 Since Bat can attack well outside the Getter's range, it's best to just guard against his attacks. 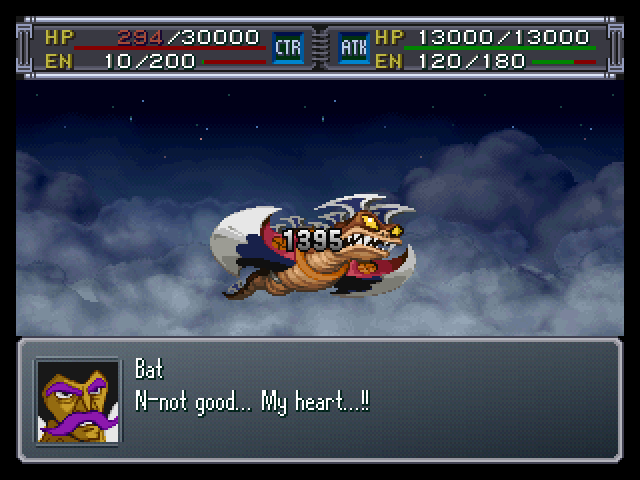 Even in it's weakened state, the Dragon can still hold it's own. 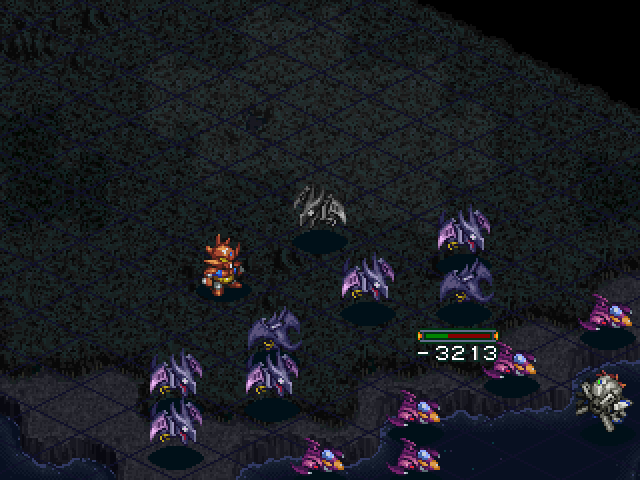 By the end of the enemies first turn, the Dragon has been surrounded. Kamille nabs the first container. Everyone else cuts a path of destruction among the enemy ranks. 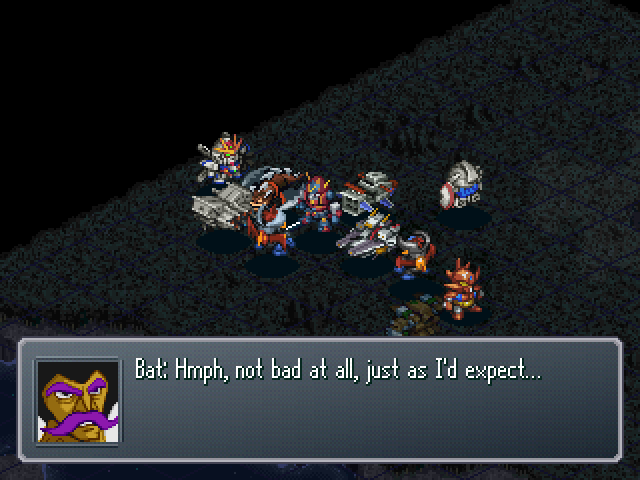 ...Unfortunately, Destroying all of the grunts will make Bat run away, and that's bad. 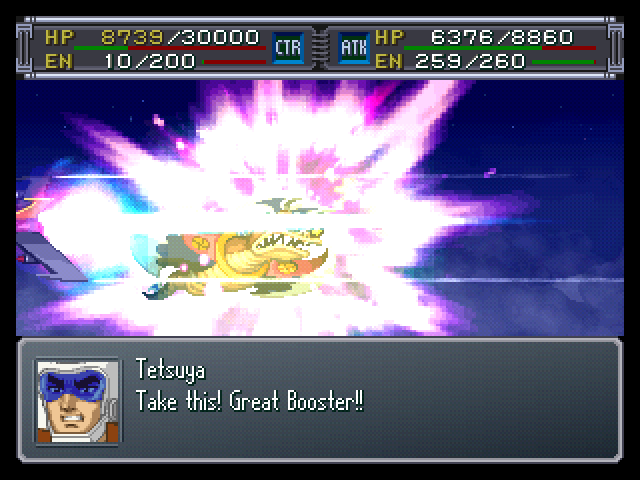 Reload! This time, I keep one alive, and kill the rest. 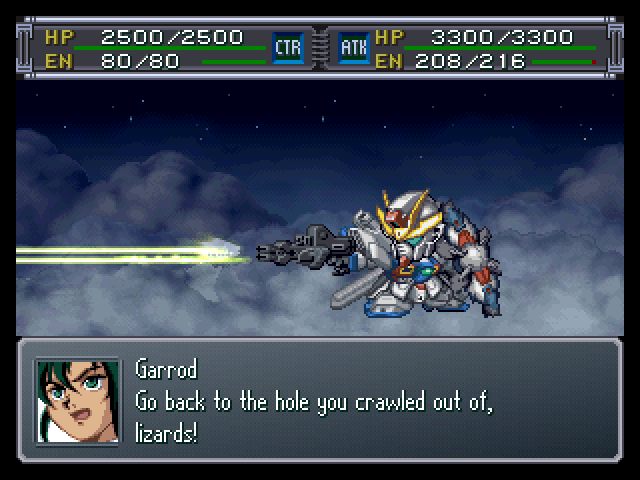 Loran sticks by the Dragon and just keeps healing him, getting quite a bit of experience all the while. 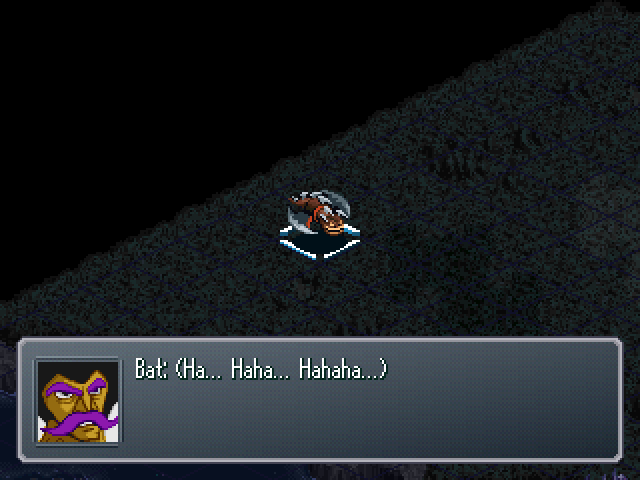 Now it's time to destroy Bat. : Remember this, brat... 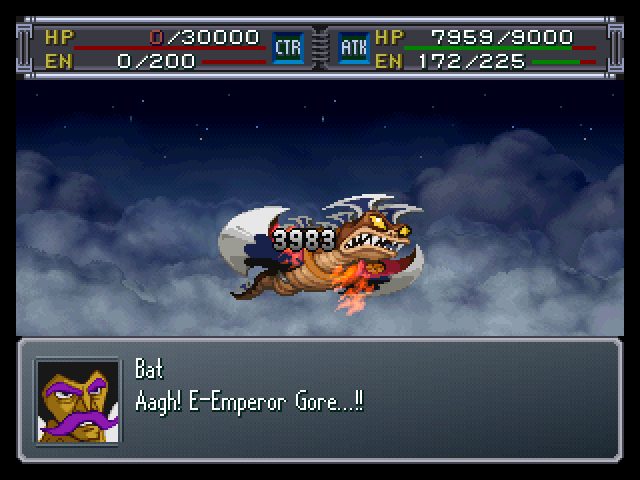 I am general Bat, the harbinger of you Humans' demise!! 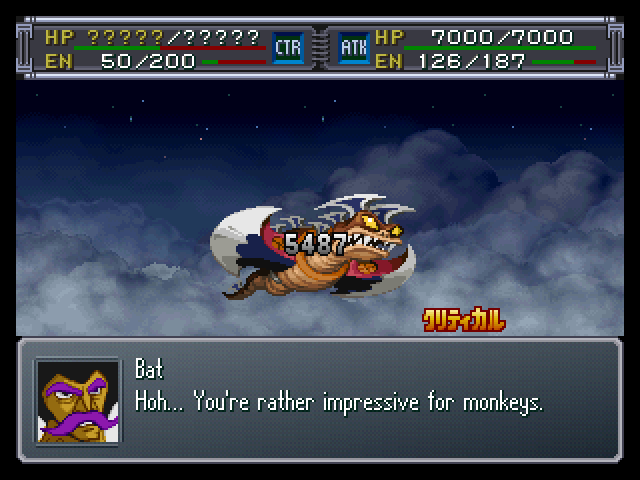 : Yeah, right! 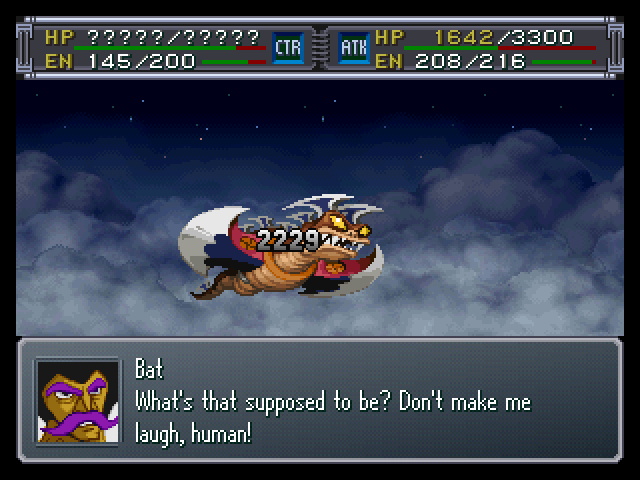 I'm not gettin' taken down by some stupid bat-guy!! 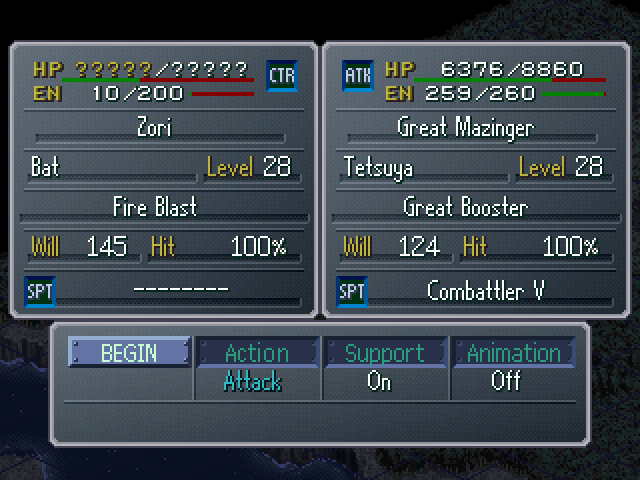 Bat's Zori is going to be a tough nut to crack. 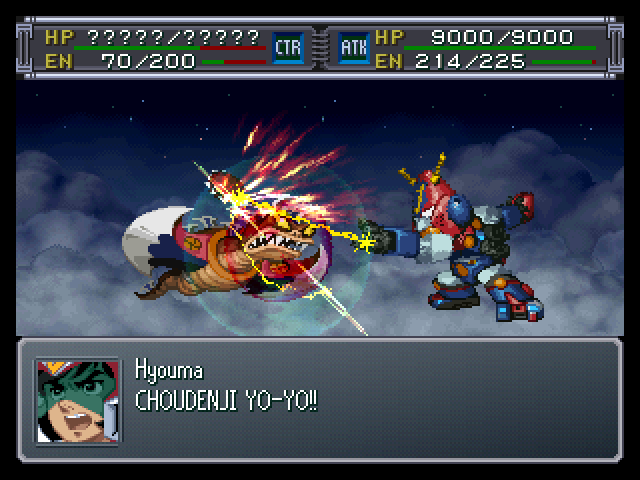 Another turn passes, and Bat predictably targets Ryouma again, whose damage gets healed up by Loran, who gets massive experience for healing someone who is much higher in level than he is. It's a vicious cycle. 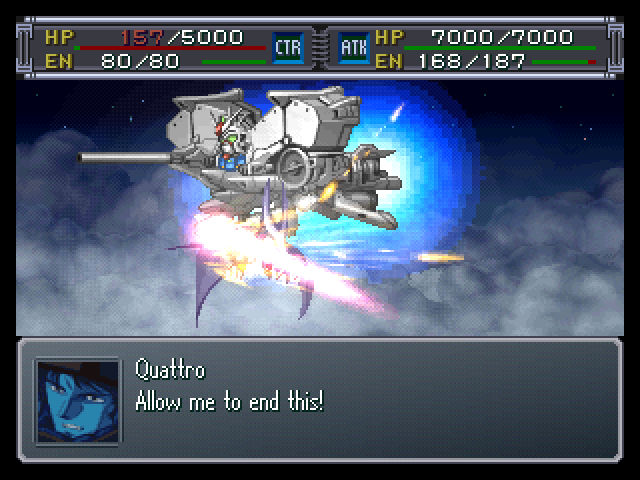 Kamille grabs the last container. 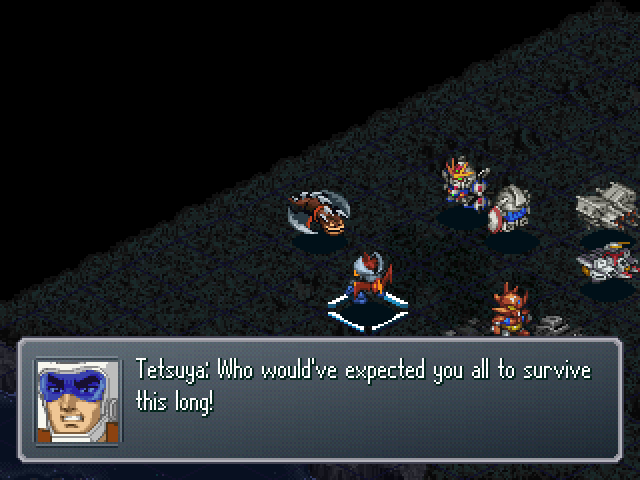 : Hmph... We aren't the only ones to survive under the ground with our hatred! 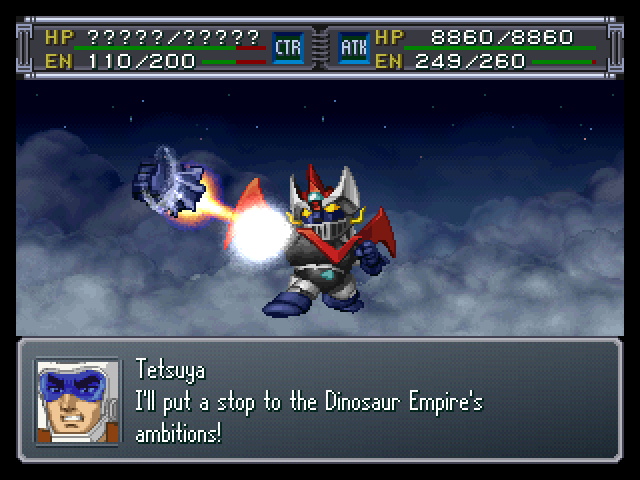 The ones who want your head are also working with our Dinosaur Empire!! : What'd you say...!? You don't mean they're...!? 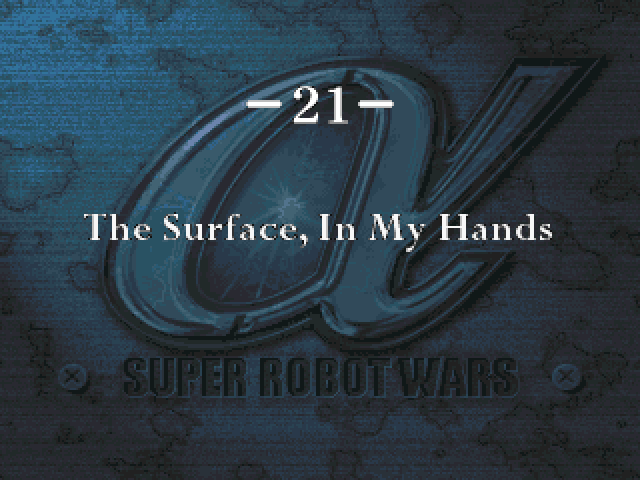 : If not for you all, the surface would already be ours! Like last time!! : Last time!? What do you mean by that!? Like every other boss we've encountered, once he's alone, he's no trouble at all. 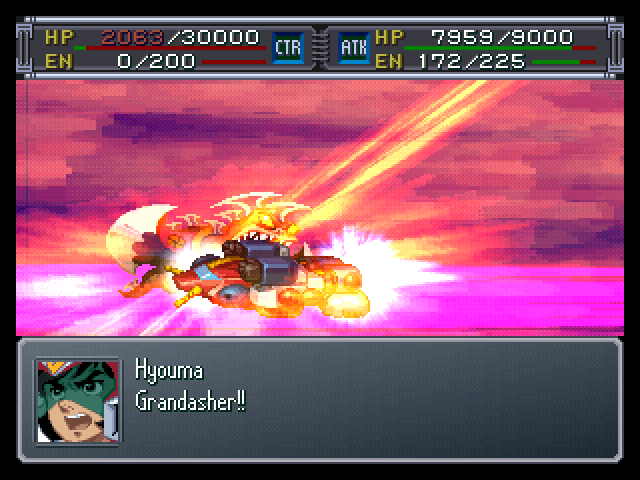 and like every boss that has a skill point attached to them, He runs away once his health gets too low. Damn! 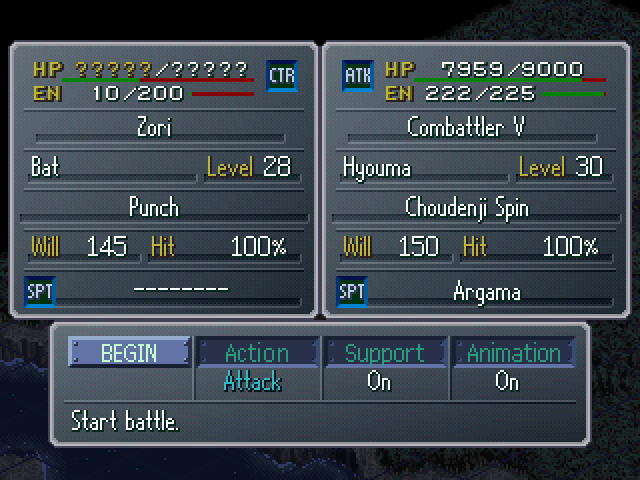 a Valored Choudenji Spin knocked out a third of his health! 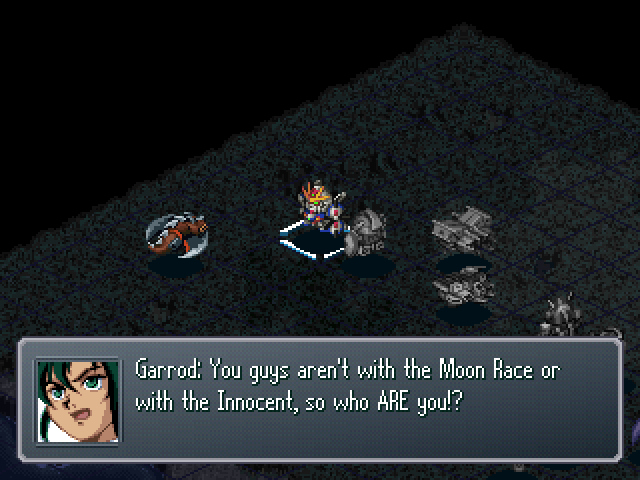 Too bad the Argama's support didn't finish him off. : But our great plans have only just begun! Don't forget that, humans!! 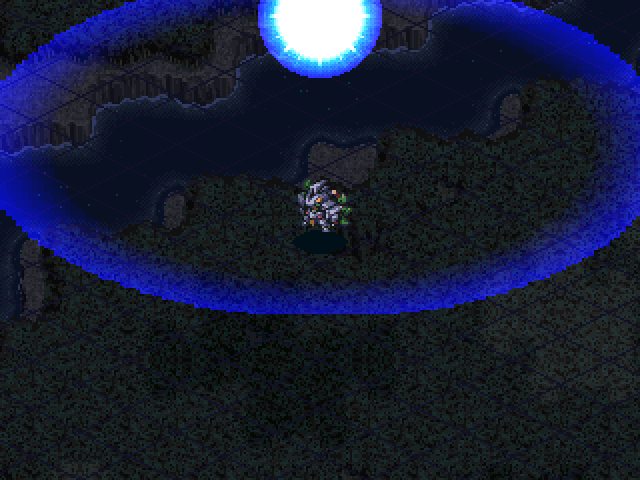 : ...It would be dangerous to stay here any longer. 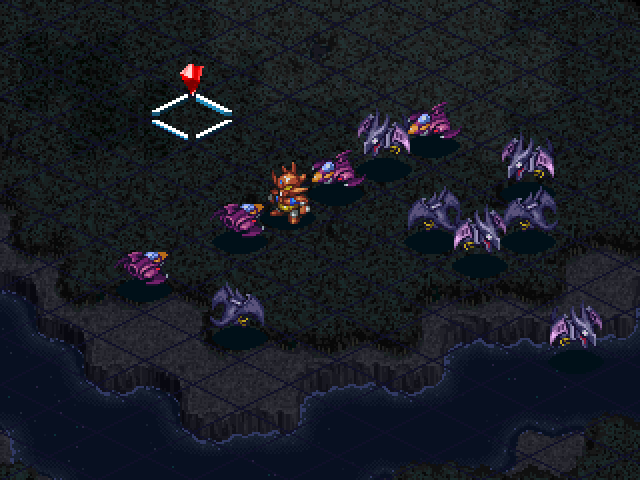 Everyone, return to base. 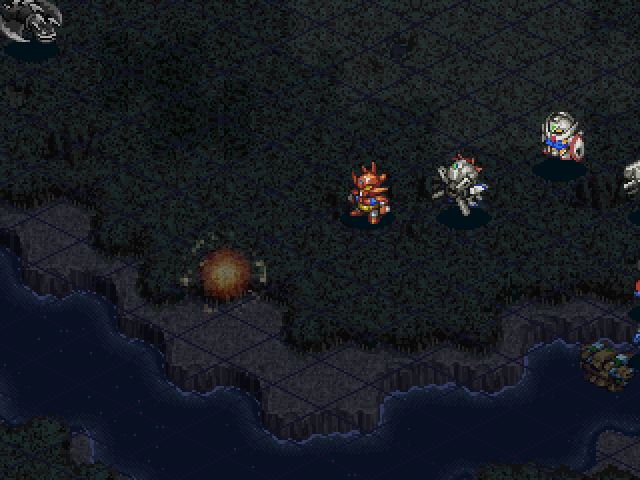 : This region... Will it ever be able to return back to normal...?